Contains Aloe Vera, Humectants, Multi-Vitamins and Sunscreen. Aids in reducing dry, cracked, and chapped udders. 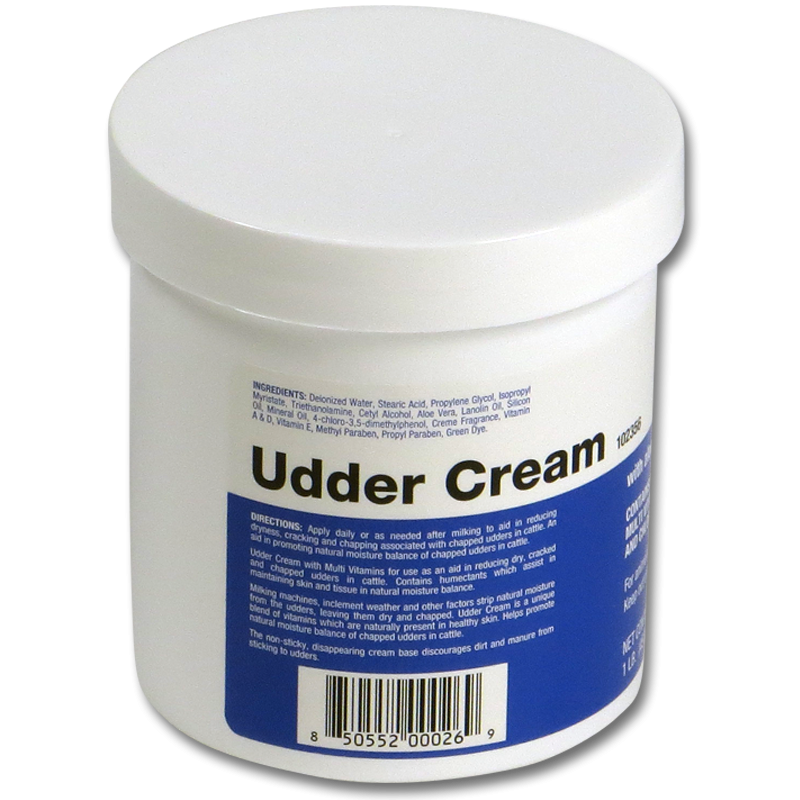 Non-sticky cream base discourages dirt and manure from sticking to udders.